The People’s Committee of Quang Nam last night held an opening ceremony of the sixth Quang Nam Heritage Festival under a theme of ‘Heritage Connection Journey’ in Tam Ky city. The festival is an annual large- scale cultural and tourism event, promoting a rich cultural and humanism land where has two world cultural heritages: Hoi An Ancient Town & My Son Sanctuary. It is also home to Cham Islands Biosphere Reserve, many tangible and intangible cultural heritages, beautiful landscapes. For past five years, the Quang Nam heritage festival has become a place of convergence and exchange of heritage lands, and an attractive tourism destination for domestic and foreign visitors. Within the culture festival, an international scale music event with the participation of 10 countries, the Bai Choir Folk Singing Festival of the central province, the Southern Amateur Music Festival, the International Kite Festival, water skiing international championships, boat racing competition will be launched. 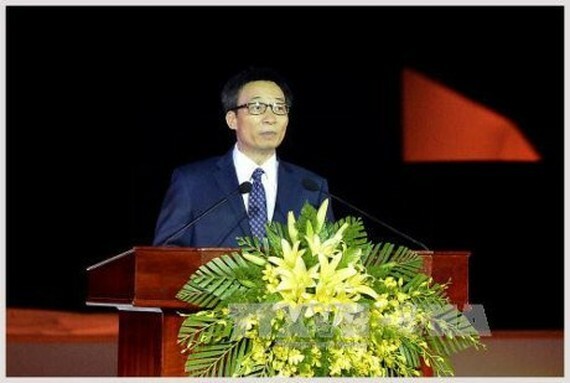 Speaking at the ceremony, Deputy Prime Minister Vu Duc Dam said that Quang Nam province has enough conditions to develop tourism and economy. The Party, authority and people of Quang Nam have contributed together to build its impressive image about tourism industry and socio- economic development in particular, added he.